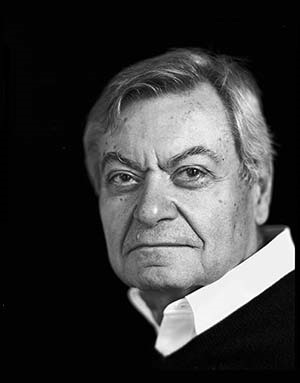 Alain Bertaud is probably the most interesting urbanist you’ve haven’t heard about. He is a senior researcher at the NYU Stern Urbanization Project next to names such as Paul Romer and Solly Angel. Bertaud used to be the lead urbanist at the World Bank, and Ed Glaeser has said that everything he knows about land use restrictions in developing countries he has learned from Alain. Bertaud has also worked as a consultant and/or resident urbanist in cities such as Bangkok, San Salvador, Port-au-Prince, Sana’a, New York, Paris, Tlemcen and Chandigarh. AL: You are currently writing a book tentatively titled “Order Without Design”, which in some way relates to the title of our website, “Planned Chaos”. What do you mean by the title of your next book – what should readers expect of it? AB: “Order without design” is a quotation from Hayek that he uses in a different context in “The Fatal Conceit”: “Order generated without design can far outstrip plans men consciously contrive”. In the context of cities it means that cities themselves are mostly self generated by simple rules and norms applied to immediate neighbors but with overall design concept designed by one person or a group of designers. The spatial structure of large cities is a mix of top-down design and spontaneous order created by markets. Spontaneous order appears in the absence of a designer’s intervention when markets and norms regulate relationships between immediate neighbors. Most evolving natural structures, from coral reefs to starlings’ swarms, are created by spontaneous order. The objective of my book is to show that top-down design should be reduced to a minimum and much more room should be given to spontaneous order. AL: Brasilia is almost a national token for urban planning, in this case with design. On top of that, its strict modernist “Plano Piloto” was landmarked only thirty years after being built, becoming probably the youngest city considered a heritage site. Today it suffers a lot of criticism from Brazilian urban planners, who usually take a stance against modernist urbanism. Many of them point out the lack of mobility as the main problem: the automobile is almost a requirement to live in Brasilia, as urban and architectural form limits access to pedestrians and public transit. There is a lot to say about Brasilia, but could you summarize your view on it? Do you think urban mobility its biggest problem or are there bigger problems with a planned city? AB: I have written several articles on Brasilia, in particular: “Brasilia spatial structure: Between the Cult of Design and Markets” presented at a seminar in Brasilia in 2010. I think the problem with Brasilia is the design process itself and the lack of markets. While buildings and apartments can be sold, the land belongs to the government and is therefore not subject to market forces that could recycle it to respond to changing conditions. The transport problem is only one aspect of it. The idea from the start to design a city as a finished product is a terrible mistake. Incredibly arrogant. I wrote also an earlier paper on Brasilia, Johannesburg and Moscow titled “The Cost of Utopia” that summarizes my views on government designed cities. It is not that a better designer would have done a better job, it is the concept of design without market feedbacks from the users themselves that become a permanent flaw that cannot be corrected by more design. AL: In both Brazilian and international urban planning literature, Curitiba is frequently referred to as a “green city” practicing “sustainable urbanism”, in large part due to the introduction of the BRT (Bus Rapid Transport) system. However, BRTs are being built in Brazilian cities gradually showing a number of problems: the system centralizes transit on a single operator – which frequently fails to deliver – and previously scattered routes are designed into a single fixed infrastructure. 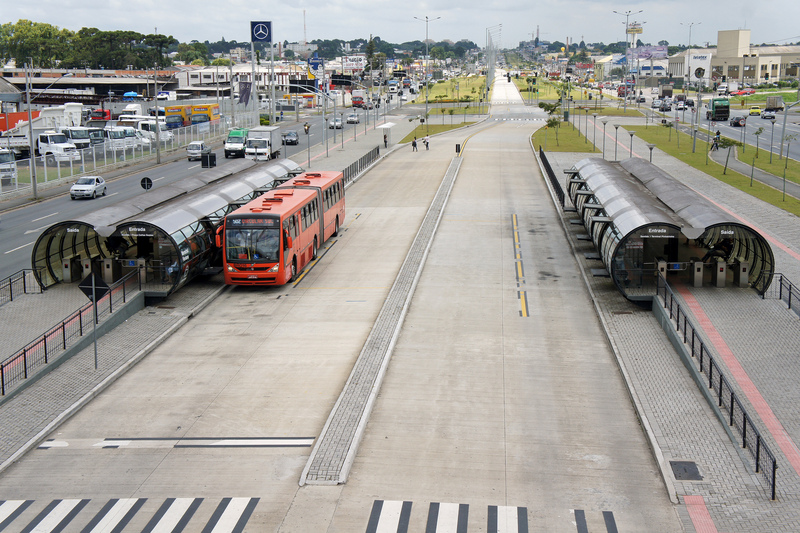 Are the several Brazilian cities currently building BRTs doing the right thing? And from what you have seen does Curitiba deserve its title as an international reference of urban planning? AB: I think that the people who managed Curitiba in the last 30 years had many good ideas, for instance recycling water to irrigate public parks. Even the concept of BRT is interesting while limited in its application. However, Curitiba’s original sin has been to design an urban land use that will make a preselected transport system work, instead of looking at the land use and trying to find a transport system that would increase mobility. The land use of Curitiba is designed to make BRT viable, not to transport people to their job in a minimum time. The idea, of course, that one mode of transport could solve the mobility problems of all its inhabitants for ever is also wrong. I think that BRTs being installed now in many very large and dense cities of Asia are creating more problems for their future and are in reality reducing mobility. See my paper on Danang (Vietnam) and the unfortunate plan for a BRT. Of course fantastic public relations is one of the major achievements of Curitiba. No city has spend as much on it. At the Istanbul second Habitat conference in June 3–14, 1996 , the Curitiba municipality exhibited an entire BRT bus and bus station shipped from Curitiba to Istanbul! AL: Rio de Janeiro gives us some of the most striking views of urban inequality: Leblon and Ipanema, two of the most expensive neighbourhoods in the country, are surrounded by favelas, the poor informal communities that usually occupy public land but lack public infrastructure. What do you think is the best way to help the lives of residents of these communities through urban policy? Is land formalization a good solution? AB: I think that the favelas are not there by chance. The denser they are the more demand it indicates for their location. They should be made permanent. The first step is to provide infrastructure, water supply, sewer and storm drainage and a convenient way to go up and down. The need to provide formal tenure depends on the country. Establishing a formal cadaster is long and costly. Sometime an informal tenure works well. In Indonesian kampongs one year water bill (which has an address) serves as tenure a document and allows the transfer of title with very little discount compared to cadaster registered tenure. If an informal tenure title allows real estate transactions and is recognized by the state then formal tenure is not necessary. What is important is for the state to recognize the rights of residents, whether they are renters or owners. Being next to expensive neighborhoods is an advantage for the poor residents. More formal jobs are available nearby and probably a better access to high level primary infrastructure. AL: Brazilian cities are gradually enforcing a “progressive property tax” on unnocupied real estate: owners of empty buildings or lots pay higher taxes the longer they remain unoccupied. A frequent reason given by urbanists who defend this policy is that the owner of this real estate would be failing to deliver the “social function of property” (a concept established in our legislation) by devaluing adjacent properties and restricting access to housing in order to profit by real estate speculation. Are you in favor of this kind of progressive progressive tax? In what scenarios might it be applicable? AB: I think that urban land should pay a property tax “ad valorem”. Buildings should not be taxed. An empty lot fully served by urban infrastructure should pay a tax to cover the amortization of primary infrastructure networks and road maintenance. Empty lots should therefore pay the same tax as a built lot, but just based on its land value. Rents from built property should pay a tax as part of the income tax of the recipient of the rent. The decision to build on an empty lot should left to the owner. Sometime it is an advantage to society when land owners delay construction as they may build a structure that is more responsive to demand. William Fischel documented well this apparent paradox. I do not see the point of a progressive property tax. AL: What cities – or periods of development within a city – do you consider your favorite examples of good urban policy? 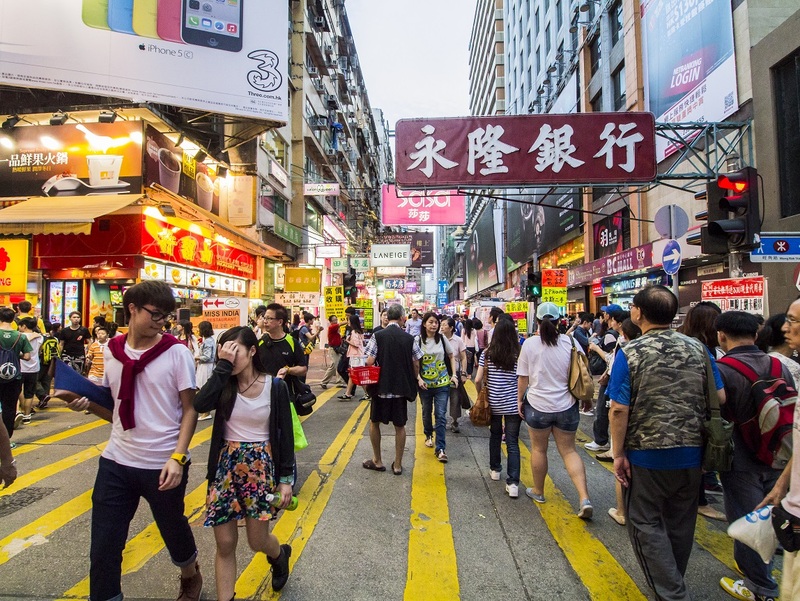 AB: Hong Kong has many very positive aspects. In particular because they try to maximize land values by having land use regulations that reflect demand. Shenzhen also has some impressive achievement. I like more and more Indonesian land use policy, Surabaya in particular. None of these cities are perfect models, all of them have some bizarre regulations that are detrimental to the welfare of their inhabitants, but in general they are doing well. AL: A large part of your work explains how city planning, the attempt to control the apparent chaos of our urban environment, leads to negative unintended consequences, many times being the source of problems cities face today. Being so, what should be the role of urbanists in urban policy and working with city governments? AB: Urbanists have a very important role to play in city development, but they are not playing it. They usually adopt unmeasurable slogans like “smart growth”, “sustainability”, “livable cities”. Do not use slogans, use measurable indicators and indicate what action will be taken to move these indicators in a given direction. Objectives: They should concentrate their effort in insuring mobility and housing affordability as a city develop. Monitoring changes in indicators: They should develop and monitor indicators, for instance, average commuting travel time. Here is a reference to an interactive data base providing the number of jobs accessible from any area of Buenos Aires using transit cars or bicycles. Planners should also monitor changes in land prices, housing prices and household incomes. They should identify the affordable type of housing by income groups and current housing consumption per group. Monitor land and housing supply: how many ha develop every year, how many building permits are given, how long does take to obtain a building permit. Monitor pollution. Action: Infrastructure – Plan road development to insure a steady supply of land and reduce travel time (reducing distance travelled is not a good proxy for travel time). Regulations – audit regulations and remove all regulations whose objective is unknown or has been forgotten. Submit any land use regulations to cost test: what impact has this regulation of land development and floor area cost. Change regulations to allow all income groups to have legal access to land and housing. Take any action related to changes in indicators mentioned before, for instance, increase land supply if land prices are climbing too fast compared to income. AL: In your opinion, what are three essential books an urban planner or a city enthusiast should read in order to understand how cities work and thrive? AB: Read a lot, any type of book. For planners who have been trained traditionally (like myself) without much understanding of urban economics, read books on urban economics, Jan Brueckner “Lectures on Urban Economics” for instance. But best of all, walk around cities for hours and look around, and ask yourself “why is this building there? Why was it build that way?” nothing in a city is random or haphazard. A palnner needs to understand why a city is the way it is. Here is a link on my methodology to understand how cities work from a blog from Jon Stewart from NYU. His criticism of Curitiba’s TOD land use plans make no sense to me. Of course land use should be influenced by transport infrastructure, urbanism and transport are two sides of the same coin and relate to the spatial reality of economic activity. If a city has made public investments into a specific transport infrastructure and implements a land use plan, fashioning that plan to make optimal use of the transport infrastructure is self-evidently a good idea. Otherwise you end up with an expensive, under-used infrastructure while you have to find new capitals to build new infrastructure to serve the new developments. He seems to argue for letting urban developments happen randomly, then trying to find a transport mode to serve the area, which is pure madness and even impossible. At all times, urban developments are shaped by the transport infrastructure, because people want to be close to services and potential employment (and proximity is measured in minutes, not miles), which is the basic reason why cities exist. To my knowledge, all major cities in the world have emerged because of a confluence of transport links, formerly oceans and rivers, then roads and railroads. You cannot build cities without regard to the kind of transport that will serve the developments, and the market doesn’t do that either. Caution is needed in advocating for a “single tax” on land in the context of US land-use governance (what I call in Dead End “suburban land tenure”). The single tax encourages landowners to surrender to the nimbys and undertake quick low-density development, rather than wait for political and market conditions to change and allow more density. Once a building is in place, the high cost of overcoming neighbors’ objections to a new building prevents further densification. In fact, one of the motivations of many single-taxers in the early 20th century was to prevent the construction of apartment houses by covering the land with single-family dwellings. There was considerable overlap between the zoning movement and the single-tax movement. I am not advocating a single tax. I am simply advocating a property tax based on market land value rather than land value + building value. It is not a new idea and a number of cities are using it. I’m using “single tax” as the historic US term for what you’re advocating, dating from the days of Henry George. Property taxes are not normally related to Henry George theory. I didn’t read him that way… I don’t think he’s saying the dominant transit mode should be ignored, I just think he’s saying they’re over-emphasizing “BRT-friendless” when making decisions. There are many factors to consider, and the most BRT-friendly design may not be the most optimal overall, if for instance if the result has an excessively negative impact on pedestrians or bicyclists etc. For instance, it may be better for BRT if they build very wide fenced-off roads with few crossings (just an example, I have no idea), but it would also be very pedestrian hostile, and the result would be an unpleasant place to be. That isn’t to say that BRT shouldn’t be accommodated, just that there are other things to think about as well. It seems to me that Bertaud’s first priorities are, in his own words, “mobility and housing affordability.” “Mobility” often means “making it easier for cars to go fast” and “housing affordability” means increasing land supply. I love your work about zoning laws. Their are so few good books criticizing zoning laws out their (shoup’s, talen’s, and william tucker’s “the excluded americans” are the only ones I can think of). Could you publish “the libertarian smart growth agenda” at a mainstream publising house so it’s less expensive? Could you write another book?